Linking up with Jenna Rachel! 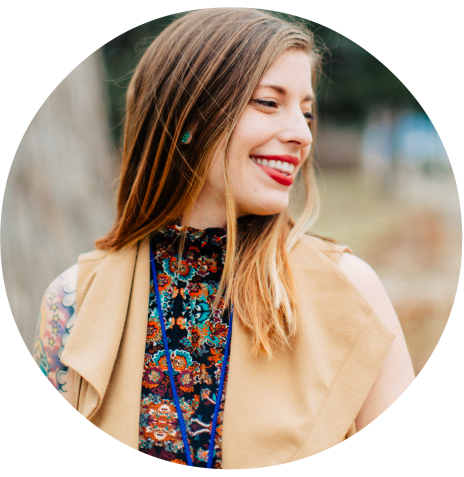 today with #5Faves and I thought I’d share some of my favorite natural health resources, so here we go! 1. Emily Baby and Adult Skin Soother from The Eczema Company. While keeping their skin super moisturized does help it disappear, putting lotion on Benjamin is a nightmare struggle. He screams bloody murder and says even mild baby eczema lotions like Aveeno sting. Which means I don’t want to fight the battle of lotion and then the eczema gets worse. So….enter Emily Skin Soother c/o The Eczema Company. Y’all this is THE ONLY THING he will let me put on his skin that seems to actually clear up the eczema. It doesn’t sting and is much more effective than the plain coconut oil I was trying to use before (it just didn’t cut it). So now I’m obsessed. And you can be obsessed, too, eczema sufferers, because Jennifer, owner of The Eczema Company is offering a lucky Carrots reader $30 credit in her store! (Enter with the rafflecopter at the end of the post). Baby Gwen struggled the most with eczema of all the kids this winter and we were finally able to improve the eczema behind her knees with The Eczema Company’s wet wraps (you get them damp and then put them on under the jammies and they keep the skin from drying out.) If I put some skin soother on every single time I change her diaper (and plenty after a bath), then we are able to keep it at bay without steroid cream, which I’m loathe to use. Success! This stuff is magic. Serious magic. Whenever I start to get a scratchy throat I make hot tea with ACV, fresh lemon, and raw honey. Sometimes it’s enough to knock it out before it turns into a bad sore throat. (Sometimes it’s not, but hey, it’s always worth a try.) Daniel usually recommends a hot toddy. And I rarely refuse one. Sunshine! This was taken today, folks. Don’t hate me. (Sorry, friends still suffering from wintry woe. Your day will come!) I also take a Vitamin D supplement because I’m always low. In addition to the ACV, I try to keep this on hand for colds/coughs/sore throats. I can deal with mild colds, etc. But I hate, hate, hate, having to take antibiotics or give them to the kids. I think the Umcka helps boost the immune system enough to kick colds before they become secondary infections. 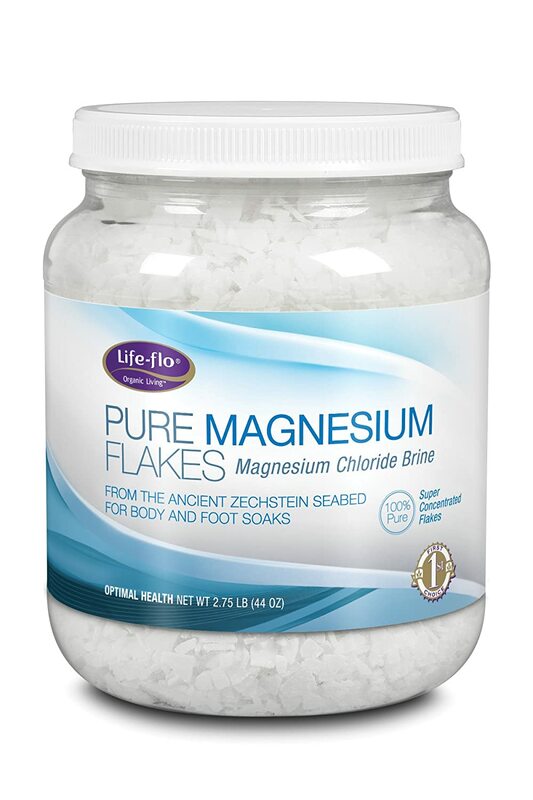 I use these as part of my effort to boost my magnesium before another pregnancy (there’s some evidence that low magnesium increases the likelihood of severe morning sickness) and just because a soak in a hot bath is delightful. Ok, your turn. Share your favorites in the comments! And a big thanks to The Eczema Company for offering a giveaway and sending some reviews products. (Disclosure: This is not a sponsored post, but review/giveaway product was provided by The Eczema Company.) To enter to win $30 in store credit, just use the rafflecopter widget below! (U.S. residents only, please, due to shipping costs.) Giveaway will end Sunday, March 8th at midnight, EST! The heat is killing me! I think baby Roan has heat rash from it, too. Is that the same thing as eczema? I always had bad heat rash as a kid. I’m putting this eczema butter on him, which is made from cocoa butter, from a friend, but I’m not sure it’s cutting it. So I would definitely try your recommendation. Apple cider vinegar is great, isn’t it? It’s also gluten-free, right? Umcka is our “go-to”! I keep a variety of flavors and formulas on had at all times. I also recommend it to EVERYONE! These look like great suggestions, Haley! I am passing along the Emily skin soother idea to a friend for sure! I have a fabulous suggestion that every mother should know about. A friend had recommended using activated charcoal on anyone suffering ear pain and promised the ear infection would magically disappear. I held out for some time……as I couldn’t imagine trying to explain to my pediatrician all the black powder in my baby’s ear when this crazy idea didn’t work as promised! Then one desperate weekend, I tried it! I have to say, since that day, we haven’t treated an ear infection in this house with anything but the charcoal! That was 10 years ago and we are a family of 11!! Simply prick the capsule and puff it into the ear! Best home remedy I’ve ever seen! 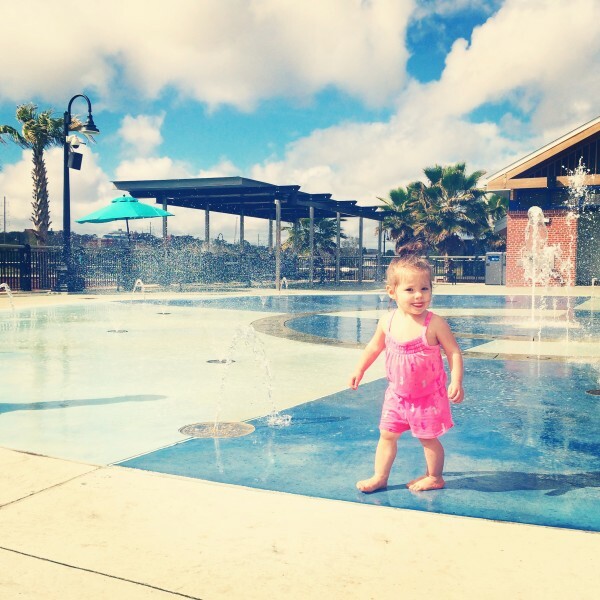 We’ve been dealing with some serious eczema on my daughter (winter + swimming at the Y), and she also screams no matter what we put on (steroid cream or natural type creams). I’d like to try this! I would love to try the Manuka Honey cream. My littlest has terrible dry, red patches all over his legs but my pediatrician says it’s not eczema. Whatever it is, I want it GONE and nothing is working! Mostly, I’m thankful you linked to this company. Both myself and my 19 month old have mild eczema, and I’ve never seen this website before. I’d probably pick up the Intensive Baby Balm (and might do so anyways.) Thanks! It’s always interesting to see what other people do to stay healthy. I was just at the mall and saw that their splash pad was up and running. Yes, it’s 75 degrees here today, but I was still shocked. Do your kids wear the Lilfut moccasins in the summer? I was thinking of getting my daughter a pair but I wasn’t sure if they’d be too hot for the summer. They do! They’re very breathable. Lucy also has a pair of those little sun and sand or whatever they’re called sandals, passed down from big brother. I have a daughter with eczema, and we have been using Aquafor, but she fights it a lot – she doesn’t like how it stings her when she is red and chapped. I would love something different to try on her, like just the basic eczema cream. I like all the specific cream options the site offers! I would love to try them! My favorite natural health item is bone broth. Love it, and I think it keeps our systems much stronger when there’s stuff going around. And if we do get it, broth is soothing and helpful for recovery. Oh I see I didn’t comment about the right thing for the giveaway. oops. My mom gets very bad exzema on the palms of her hands and they crack and it’s terribly painful for her. ExczeHerbal 1 looks like it could be a good product to try. So if I win I’ll pick her up a bottle and hope it helps. I’ll recommend the site to her anyway. That eczema cream sounds awesome! My son also has eczema (like his mama did). It’s pretty much under control since we figured out his allergies. But we still use lotion daily–Borage Therapy kids’ lotion by Shikai (good stuff and I LOVE their face cream for myself) or California Baby eczema cream if it’s bad (but it’s SO expensive!). A favorite natural “remedy” is B12. I took 100mg daily for two months leading up to my first pregnancy (in hopes of lengthening my luteal phase, which it seemed to do!) and then read it was good for preventing morning sickness, so I kept taking it until the last couple weeks of my pregnancy (switched to 50mg daily at some point). My morning sickness was very mild (never got sick just occasional, mild nausea). I think the B12 probably helped. B12 deficiency is shockingly common, but often not looked for. Things I wish I’d known 25 years ago when I was having babies! Miscarriage is only one of many, many symptoms. Hallie, if your D is always low, there’s a good chance you’re also low in magnesium. Think about getting an RbC mag test. My serum mag was always fine, but when I finally got an RBC it was VERY low. Low mag can also cause a ton of problems…low D being only one. 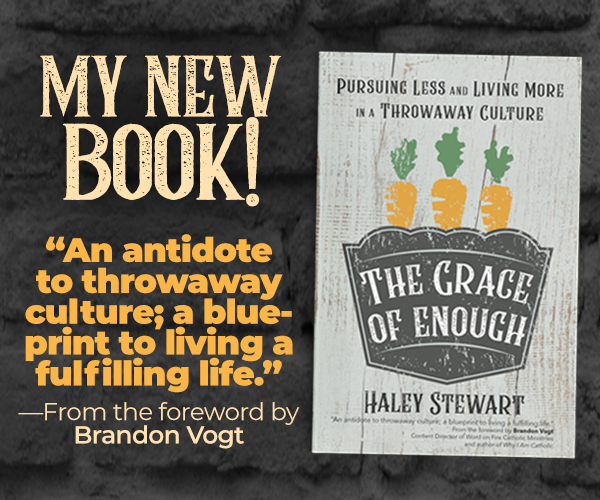 And Haley, I apologize for misspelling your name! I just realized I was taking B6, not B12. But my prenatal vitamin has 25mcg B-12 (313% daily value), so I guess I was taking both! And for what it’s worth, I got the recommendation from Fertility, Cycles, and Nutrition by Marilyn Shannon. Unfortunately for some, that 25mcg will not be enough B12. The prenatal vitamins are so top-heavy with Folic Acid. It takes both to prevent Neural Tube defect. I haven’t been tested, but I just ASSUMED I must be low on magnesium due to the Vit D deficiency and my trouble with hyperemesis gravidarum during pregnancy, so I’ve been taking magnesium spray and taking magnesium baths to try to help that issue for several months. Ooooh, thanks for the magnesium reminder. I used to take it daily and had totally forgotten! Anything for the hope of lessening future morning sickness. I make elderberry syrup and we all take that everyday! Also, coconut oil would be on my list. Is there anything coconut oil can’t do? I would get the Emily skin soother that you recommended, for my 6 year old son who suffers from eczema. I would love to get the pine tar soap. I have skin issues, especially on my scalp. I use magnesium (Natural Calm, which helps a lot of things that are “off” with my health), homemade bone broth, and coconut oil like crazy around here. Elderberry syrup, too, when I remember to get it. Manuka honey is also great for using on cuts/scrapes to avoid scarring! My cold remedy is tsp fresh grated ginger, lemon juice, Manuka honey in boiling water, but I might try adding ACV. The other amazing remedy I happened on by accident was cranberry juice for a cough. I had the 100 day cough a couple of years ago that was relentless & cough syrup only lasted two hours. Then I had some cranberry juice one morning & realised i wasn’t coughing with in a minute. One mouthful every hour was all I needed. It is also great if you are prone to UTI’s. I now take a glass every morning( with my magnesium powder & ACV) & have been free of them for 3 years! Oh & Lucas’ pawpaw ointment ( this is an Australian brand). First aid in a tube. Good for insect bites, splinters, dry lips, gravel rash, carpet burn, boils, cuts & nappy rash. I would like to try the liquid soap soother. Great list, we use some of these and other favorites of ours are homemade healing salve and Hyland’s homeopathic kids’ kit. I’d try the Manuka Honey skin cream. Manuka honey is awesome! I’d love to try the soap nuts. Laundry soaps are so often an issue! I would love to have the Skin Smoothing Emily Soap and Baby&Adult Emily Skin Soother. My boys (14 and 7) have such trouble with eczema all during the year. We’ve tried diet, steroids, and calendula cream. Even if I don’t win, I’m going to buy some! I would like to try Emily Baby and Adult Skin Soother for my husband who has had the worst skin this winter! The Manuka Honey Skin Cream looks good too. We’ve tried having more fish oils and using gentle soaps/shampoos from another company but they haven’t seemed to make a difference for him. I would definitely try the products you mention above, the baby and adult skin smoothing cream. And probably the baby balm as well, my daughter gets so dry in the winter time! Thank you for the giveaway! I would love to try the Manuka Honey for sure, and the grass fed tallow soap! I would get some of the skin soothers, my toddler and I both struggle with eczema! We’ve been really big into essential oils and elderberry tincture this year. Braggs is my go-to for everything. That, lemon juice, and coconut oil. Love that stuff! My little guy has horrible eczema and we can’t find all the triggers. I’d love to try some of their products, particularly the Hot skin soother!!! try a chopped garlic clove in your ACV, lemon & honey tea. before or after you come down with something, it’s very helpful. also pick up some beef tallow next time you visit your farmer. it does wonders for skin. you can use it straight or mix it with coconut oil & lavender (or your choice) essential oil. 9 parts tallow + 1 part coconut oil + essential oil, warm it so it’s soft & cream it with a blender … amazing stuff! I would get the Baby & Adult Emily Skin Soother For Dry, Itchy Skin. I would definitely choose the Emily skin soother and soap if I won the store credit! My daughter has had eczema for a couple of years and her hands get so red and itchy. Venicream is the only thing she can tolerate and even then it sometimes stings and doesn’t seem to soak in. The chlorine in the pool last summer caused terrible flare ups and that time of year is finally approaching! Would be so nice to have another plan of attack against the eczema! Would love to try the baby and adult cream. I have the most annoying elbow patch that will not leave! Plain old coconut oil worked at first, but not anymore! I second the recommendation of homemade bone broth! How have you not told me about the eczema cream?? Maybe it will finally help Paul. I’d have to spend forever trying to decide which one to get, but maybe the baby balm? I would love to try the skin soother for my three year old. We’ve tried and tried to find the cause of his eczema and just can’t! Maybe this could help improve it! This looks great! I’ve struggled off and on with eczema and psoriasis my whole life so it’s always good to hear about a natural product that works! I’d like to try the Manuka Honey cream and also the skin soother that you mention. I would get the Intensive Baby Balm for Skin Rashes in Children since my granddaughter suffers from eczema. Grass fed. Tallow soap, and baby and adult Emily skin…or soap nuts! So much great stuff! I’d try the Intensive Baby Balm. Thanks for the giveaway! I would get the super dry Emily skin smoother! My sweet babe has eczema and we have tried everything. Can’t wait to try this! I think I need the whole product page under ‘itchy, red, dry eczema’, ack! Maybe the Emily skin soother to start. Thanks so much for sharing about this; giveaway aside I am always desperate to try things that might work for my little girl and avoid those steroid creams as much as possible. Emily skin soother sounds like it would help the most with girls’ skin issues. I will definitely pass along the skin smoother info to my oldest daughter. She works at a pre-school and the hand washing during the winter turns her hands into a mess. She has tried all kinds of lotions but each winter it is the same. I am in Savannah so the weather here looks much like your weather!! I am currently sitting in the living room with all the windows open enjoying a breeze blow through!! Megnesium Flakes, I have never heard of these but now I am on the hunt! Thanks! Thank you so much for recommending The Eczema Company! My little one has terrible eczema. I’ve been trying to figure out if it is a food allergy and if so, what. But without much success yet. I may have to try the Intensive Baby Balm. We also love raw ACV! That, the vitamin d, and making elderberry syrup are my three pronged approach to trying to stay healthy in winter. Although we have had nonstop child’s this winter, at least it hasn’t become something else, and we have dodged the flu! Thanks for hosting this giveaway! 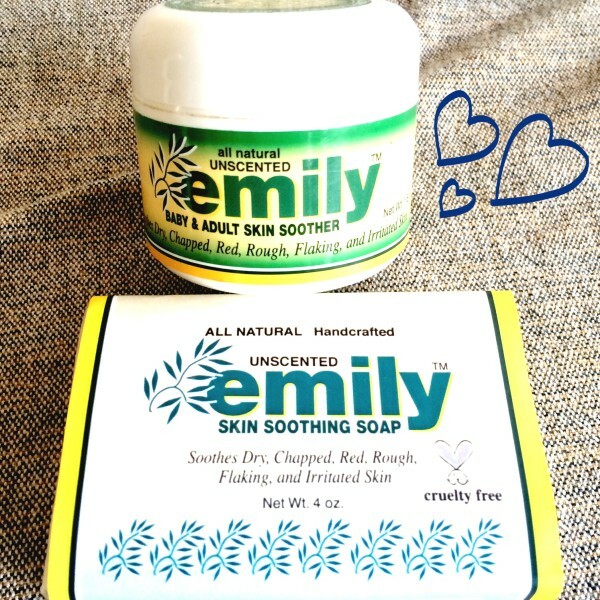 The Emily skin soother looks like it would be great on my kiddo’s dry skin patches! Thanks for the opportunity to win this. Decisions, decisions! I would probably go for the tallow balm and the baby balm. We run the full gamut of eczema in our house – from crocodile skin to red and dry to red and weepy. My son’s is *almost* under control when we’re careful about his allergies, but we just can’t find anything that works long enough to keep busy little fingers from scratching. I feel like we’re in a never-ending cycle where he never leaves it alone long enough to heal. I would like to try the Emily hot skin soother on my son. I would love to try the Emily skin cream! My preschooler has had severe and persistent eczema her entire life, and I am very uncomfortable with the non-stop use of steroid crems required to control it.